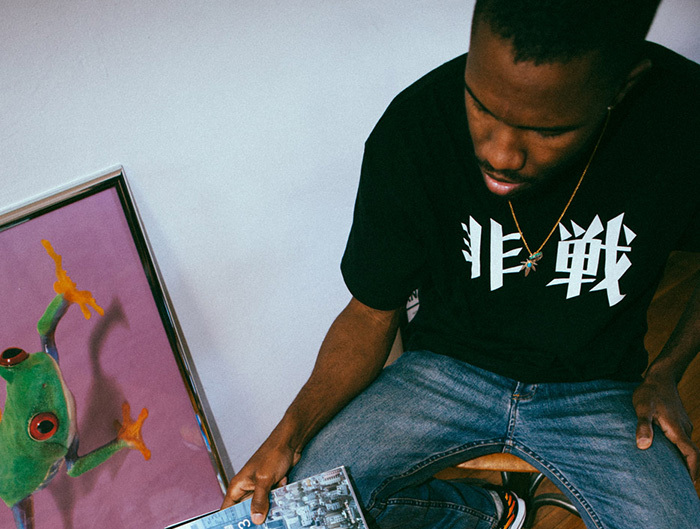 Frank Ocean has quietly been in the studio working on the follow up to 2012’s “Channel Orange”. 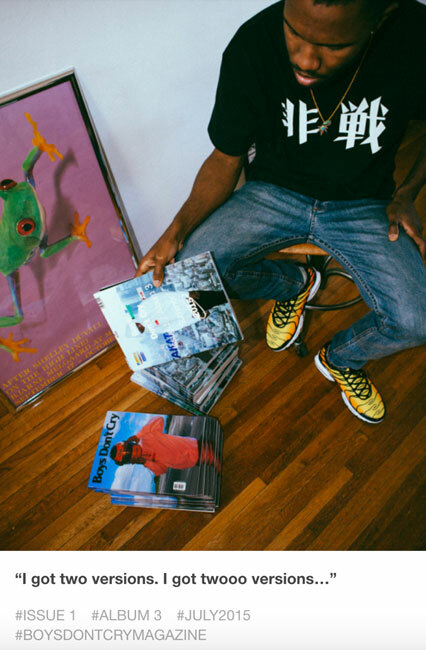 Frank displayed the news via photo on his tumblr FrankOcean.com along with the caption, “I got two versions. I got twooo versions…” and the hashtags #ISSUE1, #ALBUM3, #JULY2015, and #BOYSDONTCRY. Ocean has been in the studio with Hit-Boy, Rodney Jerkins, Lil B, Happy Perez, and Charlie Gambetta.